With the long, cold winters in the Greenfield area, it is important to have a heating system that you can depend on to keep your family safe and comfortable. When there are problems, having an existing relationship with a quality HVAC contractor can help you to get your heating system repaired faster, with reliable, trusted results. Whether you live in Huntington Heights, Whitcomb Meadows, Glen Oaks, or elsewhere in Greenfield, our team at Service Plus Heating, Cooling & Plumbing can help you protect your family with comprehensive heating services. These include maintenance, repairs, replacement, and more. Our certified HVAC technicians have the experience and knowledge to solve the most difficult heating system problems, and we service all common types of heating equipment, including furnaces, boilers, heat pumps, and ductless heating systems. Contact Service Plus today at 317-434-2627 to learn more about our HVAC services. At Service Plus, we recommend two maintenance visits a year, before and after the heating season, and we can provide maintenance services for any common brand and model of heating equipment. To schedule maintenance services for your home, contact our team today! We work on all major equipment brands, including Bryant, Carrier, Trane, York, and many others. Contact us today for a repair estimate or an appointment! We can help you choose the best type of heating system for your budget, and our professional installation process will help to create a long-lasting, reliable, and energy-efficient heating solution. 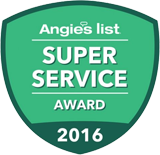 With over 15 years of service in the Greenfield area, you can trust our team at Service Plus for all your heating, air conditioning, and plumbing needs. Contact us today at 317-434-2627 to schedule an appointment for heating services!